That voice is your own. And that is the voice of your wife. Travel Dynamics International is proud to present a very special departure of The Journey of Odysseus, from JULY 31 – SEPT. 11, 2009. Collaborating with Readers of Homer, a 503(c) non-profit organization, we will not only be sailing from TROY to ITHACA, retracing the ten years’ voyage of wily Odysseus from the carnage at Illium home to Penelope. Guests will be invited to orate their favorite passages from The Odyssey in an organized reading that will span the length of the cruise. Argentinian critic and translator Alberto Manguel has done something quite unique, and necessary for our time. He realized that writing a biography of Homer is impossible. Yet he understood that The Iliad and The Odyssey are, in fact, the foundations of Western civilization. But unlike most of us, who just accept that phrase — “the foundations of Western civilization” — he interrogated it, and traced the ways in which Homer’s narratives have been used, re-used, appropriated, and re-forged over these last 2,500 years. He’s written a biography of Homer’s works. A history of the poems. Read the review in The Washington Post. 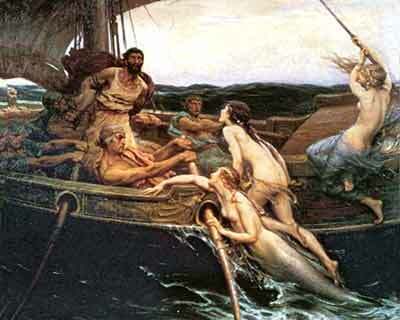 And then take Odysseus’s journey yourself — in a great deal more comfort and luxury. Read more from Marina Warner here. Travel Dynamics International would love to place you in the heart of mythical settings, and tease out the meanings of the ancient myths for your life, in cruise programs such as Journey of Odysseus, Voyage to the Lands of Gods and Heroes, Journey of Aeneas, and a very special voyage called Landmark Ancient Sites of the Mediterranean, on which famed PBS broadcaster Bill Moyers will serve as guest lecturer. As many of you know, one of Mr. Moyers’ greatest works was a conversation series called “The Power of Myth” with the late Joseph Campbell.